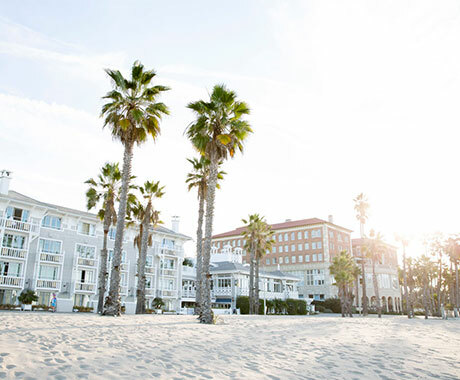 Along Ocean Avenue, alfresco dining spots, pastel-hued hotels, palm-lined Palisades Park, and the distinctive Tongva Park provide enviable beachfront hangouts. Ocean Front Walk, home of the Original Muscle Beach, still flexes its charm with a collection of rings, parallel bars, and balance bars plied by bodybuilders, yogis, and other assorted sun-worshippers. Bikes, skateboards, and even hoverboards drift down the Marvin Braude Bike Trail in an aimless procession of fun. Perched over the Pacific, the 108-year-old Santa Monica Pier, featuring the world’s only solar-powered Ferris wheel and the century-old Looff Hippodrome, attracts more than seven million visitors a year, each reveling in a delectable slice of West Coast nostalgia. Serving fresh and fabulous seafood since its founding by a Korean immigrant couple in 1977, The Albright is a family-owned jewel pairs a relaxed seaside setting with a selection of dishes ranging from classic to trendy and made from locally sourced ingredients. Reproductions of Popeye appear throughout the restaurant in tribute to 1920s Santa Monica resident Oli Olsen, who some believe was the inspiration for the nationally syndicated comic strip character. Established in 1923, this historic hot spot is inevitably cited by locals as a favorite. With casual elegance, The Lobster serves up traditional American seafood featuring whole live Maine and spiny lobsters, as well as ahhh-inspiring, 180-degree views of the Santa Monica coastline. Dine on international cuisine and absorb the ocean view at The Veranda Restaurant, a stylish spot located in The Georgian Hotel. Curated by Raphael Lunetta, the menu includes a creatively luscious breakfast selection. Sample The Georgini, the signature martini, with some small bites, offered every day from 3 to 4 p.m. Founded in 1965 and rebuilt after suffering storm damage in 1983, the Oatman Rock Shop is the second oldest business on the pier. Colorful merchandise includes shells, jewelry, collectibles, and, of course, rocks. Get the lay of the land, then pick up some treasures for loved ones at the Pier Shop & Visitor Center, housed in Santa Monica Pier’s historical Carousel Building. Even landlubbers will get stoked about surfer culture in this gnarly equipment and apparel wonderland, Poseidon Paddle & Surf. The founders say it was inspired by their mother, who was a rad surfer girl in the 1950s and ’60s. Operated by Perry’s Café & Beach Rentals, Blazing Saddles’ Legends Beach Bike Tour includes a two-hour/five-mile guided ride honoring Santa Monica’s multifaceted beach culture, from the coastal homes of top Hollywood stars to sites such as Muscle Beach and the Venice Canals. When rides, games, and treats meet the seaside, magic happens, and we all turn into kids again at Pacific Park. Be sure to take a spin on the Pacific Wheel Ferris wheel, which becomes a multicolored light show at night. 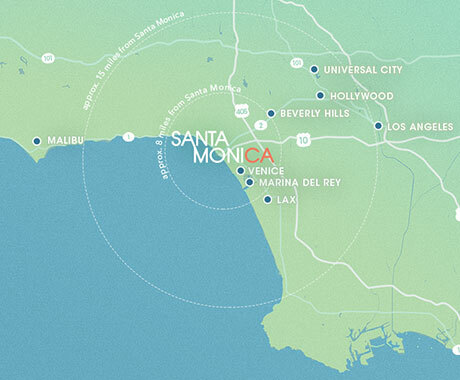 Tour scenic Santa Monica while sparing yourself traffic and tired feet by renting a Segway at Segway Los Angeles. Once your two-wheeler is charged up, you’re good to go about 24 miles over pavement, grass, or dirt. Take a beginner-friendly flying trapeze lesson or an aerial silks class at Trapeze School New York on the Santa Monica Pier. In honor of the people, places and experiences that make Santa Monica the premier beach destination it is, we’ve made a mini video series highlighting a sampling of Santa Monica’s small business community and the stories behind the storefronts. Here, we visit Playland Arcade and The Albright restaurant in the Santa Monica Pier Area/Ocean Avenue.